The Costa Mesa Planning Commission meets beginning at 6:00 p.m. in City Council Chambers for a meeting that includes three (3) public hearings - all small lot developments. 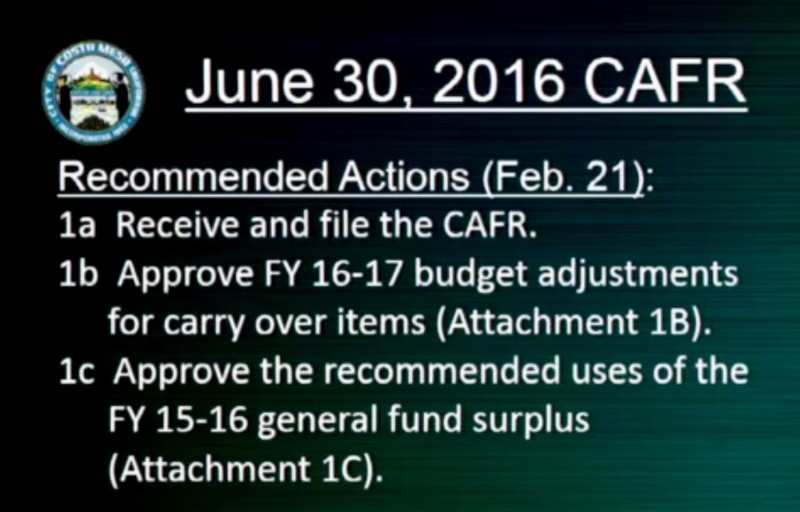 Read the agenda HERE. 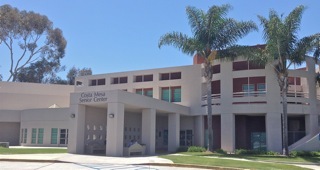 The Costa Mesa Senior Commission meets at 9:00 a.m. at the Costa Mesa Senior Center, 695 W. 19th Street, for the first meeting of this re-constituted group. The business on the agenda, HERE, is to elect officers of this new group, then apparently have a presentation on the Goals and Objectives. The Costa Mesa City Council will meet in a very special meeting offsite at which they will discuss Goals and Objectives. This meeting will be held at the Hilton Hotel, 3050 Bristol Street, Costa Mesa in the Bristol Room 1 beginning at 4:00 p.m. and run until an unknown hour. 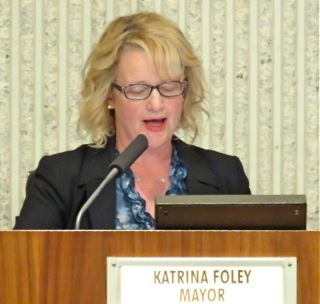 This is Mayor Katrina Foley's idea - a team-building exercise at which the council members can present their individual ideas for the near and long-term future of the city. The agenda, such as it is, may be viewed HERE. Because this is a scheduled meeting, the public is welcome to attend and will be permitted to comment for three (3) minutes, although the actual schedule shows only 10 minutes will be provided to the public to comment. According to rookie Councilman John Stephens, this event will be facilitated by a consultant who will have already met individually with council members. 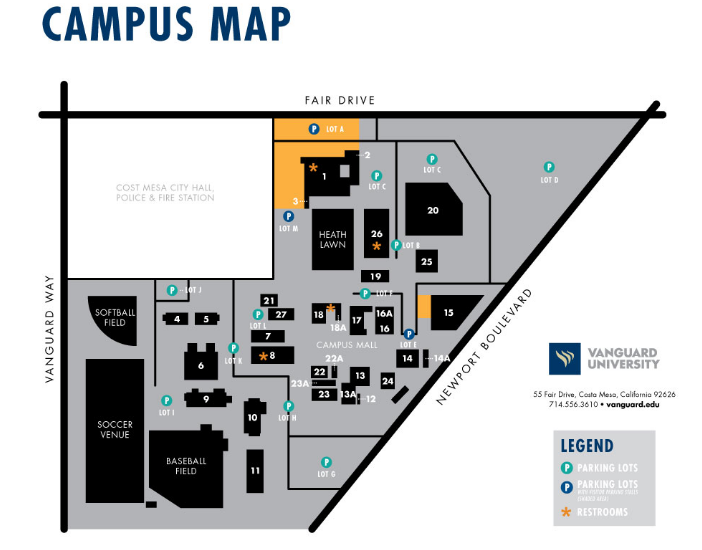 According to Stephens, the City will validate parking for residents who attend this meeting. I'm thinking this will certainly be worth the price of admission and find myself wondering if boxing gloves will be available for council members. 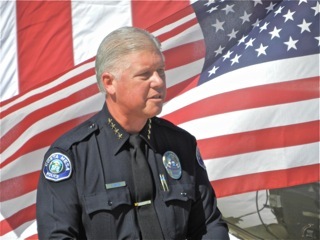 Costa Mesa Police Chief Rob Sharpnack, in conjunction with Mika Community Development and Vanguard University, invites Costa Mesa residents to attend a Town Hall at which Sharpnack will discuss the state of the police department, Costa Mesa crime statistics and community safety, with a Q&A portion. This event begins at 6:30 p.m. on the Vanguard University campus, Heath Academic Center (#26 on the above site plan) in Room 109. The new Costa Mesa Parks and Recreation Commission will hold a Study Session, HERE - the first such meeting I can remember for this commission - beginning at 6:00 p.m. in Conference Room 1A at City Hall in which they will discuss the Open Space Master Plan of Parks and Recreation, HERE, and provide direction to staff on updating that 14-year old document. Public Comments will be taken at the beginning of this meeting, limited to two (2) minutes per speaker. It's going to be a very busy week, indeed. 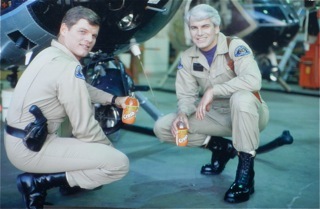 Tomorrow, Friday, March 10, 2017, is the 30th anniversary of the day Costa Mesa Police Officers James "Dave" Ketchum and John "Mike" Libolt died in a helicopter crash with a Newport Beach helicopter that took their lives. 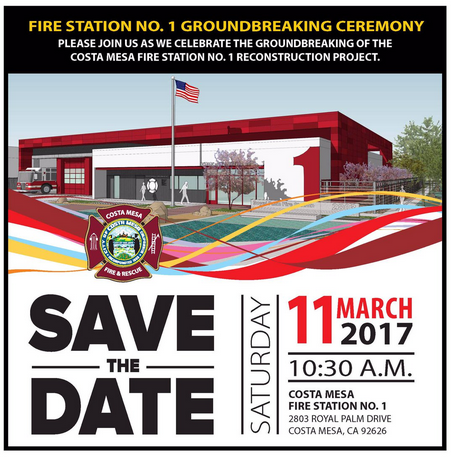 This event will be recalled in a private memorial service at the Costa Mesa Police Headquarters beginning at 11:00. It was my plan to attend this event and report to you about it, just as I did five years ago when a similar event was held. You can read about that event in my entry HERE. Please follow the links in that entry for more information about the crash. 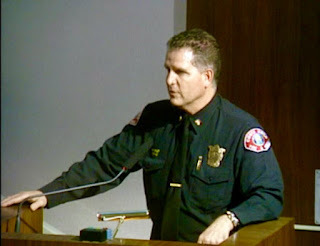 At the time Police Chief Tom Gazsi - since retired from the CMPD and currently the Chief of the Los Angeles Port Police - was the Master of Ceremonies. It's unclear whether Gazsi has been invited to attend the event tomorrow. Unfortunately, I'm informed that the public is NOT welcome at this event - that it is reserved for invited retired officers and other guests - so we will have to see what kind of local media coverage is provided. This tragic crash was a cornerstone for the subsequent creation of the ABLE Helicopter Program - a joint venture between Costa Mesa and Newport Beach in which helicopter services were shared beginning in 1996. 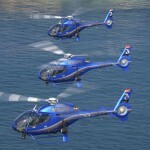 The City of Santa Ana was also a participant, paying a fee to the Joint Venture for Helicopter Support. 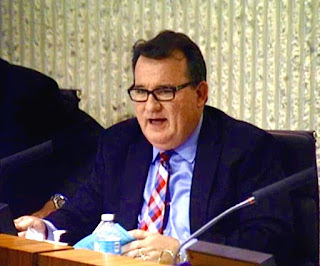 Unfortunately, in 2011 then-councilmen Gary Monahan and Jim Righeimer recommended that the ABLE Program be disbanded - and it was. In fact, so thoroughly was the dissolution of the ABLE Program that it's nearly impossible to find a single reference to the program in the City archives. 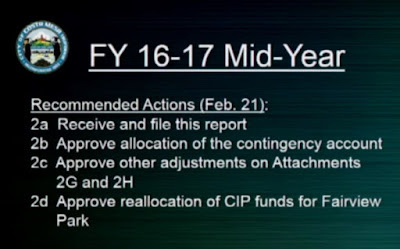 One item is available - a report on the dissolution of the program, HERE. 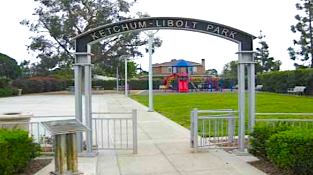 As most know, a municipal park has been named for Ketchum and Libolt as a permanent remembrance of their bravery and sacrifice for the residents of this city. The park, at 2150 Maple Avenue, was dedicated on November 21, 2003. 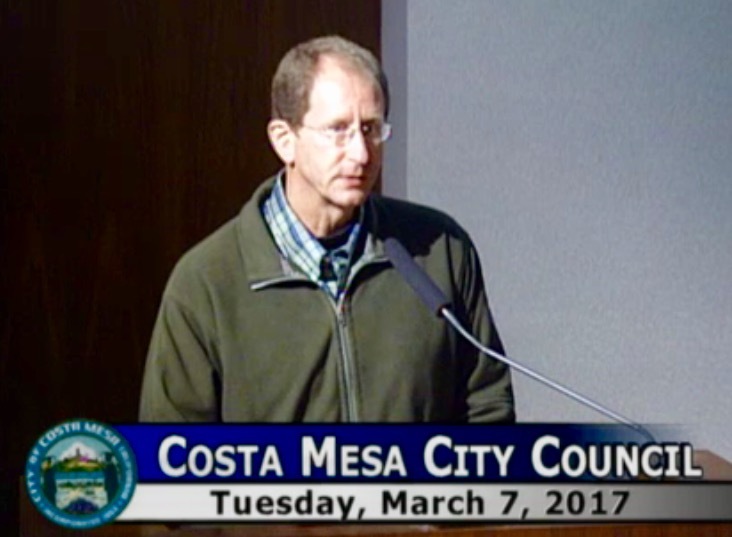 So, wherever you are, I hope you will join me in a moment of silence at 11:00 a.m. Friday, March 10, 2017, in remembrance of two brave Costa Mesa Police Officers - Dave Ketchum and Mike Libolt. The Costa Mesa City Council met again last night in what should have been a fairly routine, and relatively short, meeting. Nope. Although we got out of the auditorium before 9:30, the meeting could have, and should have, been at least 30 minutes shorter. Such is life. The agenda report is HERE. The meeting began on time - a surprise because they had a loaded Closed Session before it. As it turned out, for some reason they didn't make it through that agenda and had to reconvene in Closed Session again following the open session to complete their work. JUST STICK WITH THE PLEDGE, PLEASE! 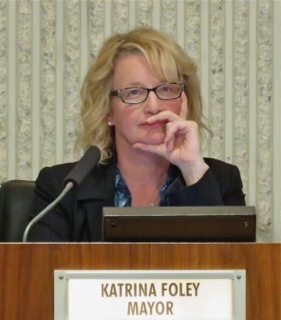 As has been the practice lately, Mayor Katrina Foley has asked a member of the community - a group or an individual - to sing the National Anthem at the beginning of the meeting. 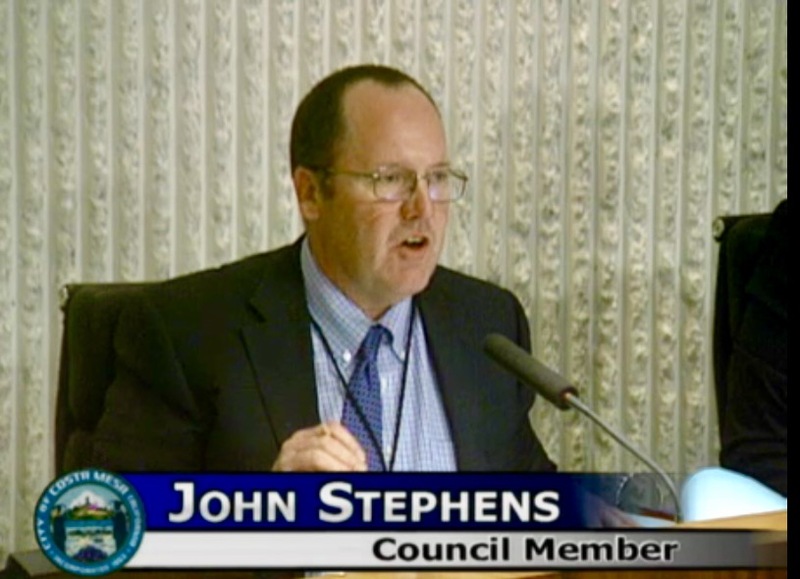 Well, this time she asked rookie Councilman John Stephens. He chose, instead, to lead the audience in singing God Bless America. Well, I'm as patriotic as the next guy - maybe more so than some - but this was over the top. My suggestion to Mayor Foley is to just forget the singing of the National Anthem - say the Pledge of Allegiance to our flag and stop right there. 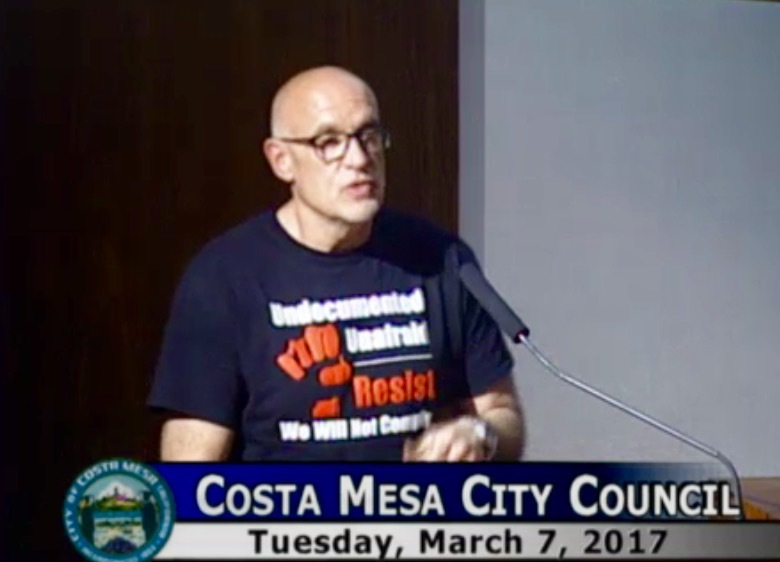 This is not a sporting event - it's a City Council meeting. 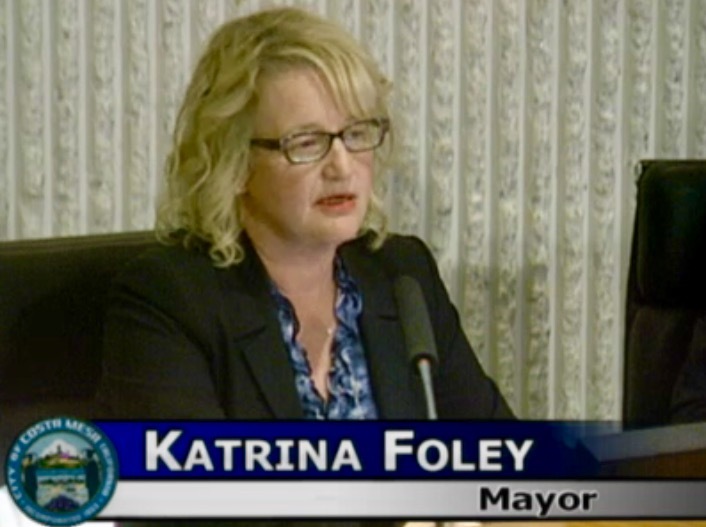 Foley then made the presentation of the Mayor's Award to Paula Tomei, Managing Director of South Coast Repertory who began in that organization right out of college as a subscription clerk and worked her way into this current position - certainly a worthy recipient. 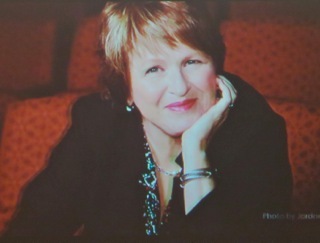 Foley also announced that the award would be made quarterly and invited members of the public to nominate those they felt worthy of this award - there's supposed to be a nomination form on the City web site. 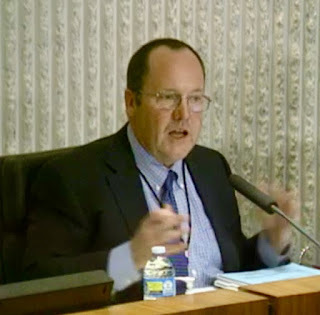 Reggie Mundekis advised the council of Assembly Bill 572, introduced by rookie Assemblywoman Sharon Quirk-Silva, HERE, which proposed a pilot program to run from 2018 - 2021 in which a Substance Use Disorder Compliance Division investigator would be assigned to investigate complaints licensed adult alcoholism or drug abuse recovery or treatment facilities within Orange County. 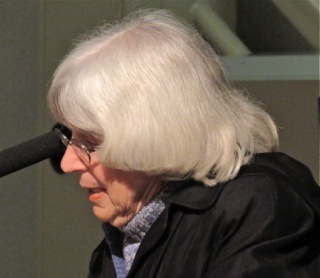 Dorothy McNiff asked for action on a long-time complaint she has against a neighboring business, which apparently has changed hands and the new owners no longer have the shared parking agreement with a nearby business - which also has changed hands - creating a serious parking problem in the neighborhood. 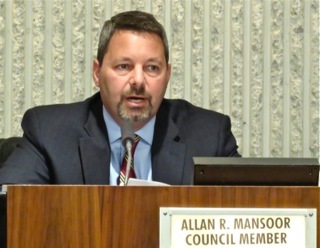 Bill McCarty addressed Councilman Allan Mansoor's comments at the previous meeting in which he criticized the administration of Orange Coast College for their suspension of a student who took, and published, an unauthorized video recording of an instructor criticizing President Trump. 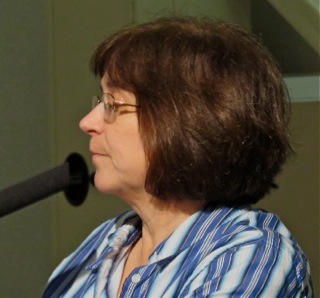 McCarty opined that Mansoor's comments challenged free speech. Tamar Goldmann expressed concern about the ongoing attempts to develop the property at 440 Fair Drive. 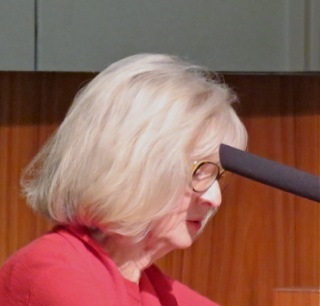 An unidentified woman spoke on Sober Living Homes, citing a recent meeting in Dana Point where she sat next to Congressman Daryl Issa, who expressed grave concern about the current state of affairs and pledged to return to Washington, D.C. to try to get something done on the national level. Another unidentified woman proposed some kind of family-oriented recreation facility at the site of the Trinity Broadcasting Network facility on Baker Street which recently sold to Greenlaw Partners, the Irvine-based developer who has revamped The Triangle. 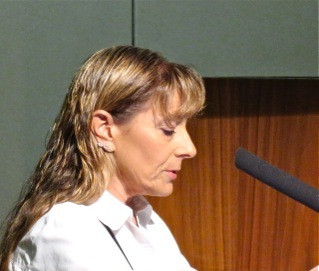 Cindy Brenneman spoke again about the recent travails of the commission selection process, citing specificially, the acceptance of Carla Woods on the Planning Commission although she applied after the closing date for application. She also reminded everyone there will be a remembrance ceremony from 4-6 p.m. on Friday, March 17th - St. Patrick's Day - in memory of the death of Huy Phan six years ago, when he leaped to his death after learning he was to be one of more than 200 employees given layoff notices that day. We'll write more about that next week. 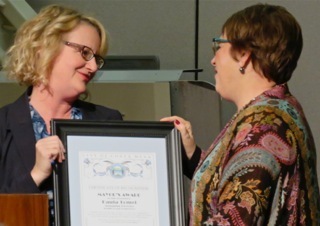 During her segment Mayor Foley spoke of attending the public safety awards at which several Costa Mesa members were recognized. 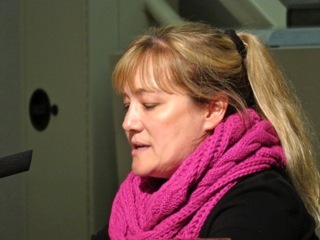 She also spoke of taking a walk through Fairview Park and was concerned about the conditions there. She mentioned the need for someone full time with the responsibility for being aware of the condition in that park and for getting it fixed. She also thanked Mundekis for mentioning AB 572. 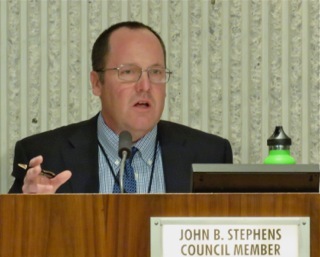 Stephens spoke of a recent discussion with members of the Costa Mesa Chamber of Commerce about their concern that the business community may be feeling Costa Mesa is NOT open for business, specifically development. He said that's NOT TRUE. He spoke of throwing out the first ball during the launch of the new little league season. He also spoke of the public safety awards. He spoke of the ground breaking ceremony for Fire Station #1 on Saturday at 10:30 a.m., and also mentioned that on Friday at 11:00 there will be a remembrance of the passing of CMPD officers Ketchum and Libolt, who died 30 years ago in a helicopter crash. The event will be at the CMPD headquarters. He closed by observing that it is now Lent, and he intends to mark the occasion by showing kindness to others. Jim Righeimer used his time to chide the introduction of AB 572, calling it nothing but "eyewash". He said, "Let's be clear - they're really doing nothing!" Amazingly, he didn't use his entire four minutes to bloviate... a new record. 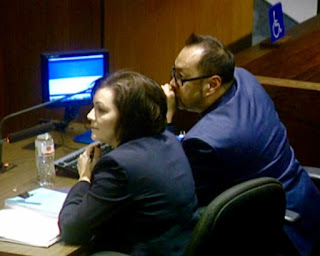 During his segment Mansoor thanked the unidentified speaker for speaking up about Sober Living Homes, then blamed the "firing of the Planning Commission" for nothing being done about them. He really is obtuse! One item was pulled from the Consent Calendar for discussion - #6, HERE. The remainder passed on a 5-0 vote. 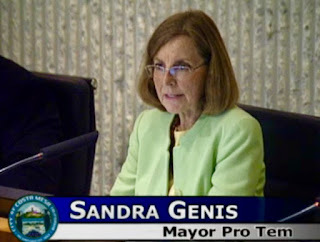 The issue with this one was not that we are extending the contract for Peggy Schneble as a contract manager in Development Services, but the language that implied City Manager Tom Hatch could continue to approve extensions without further approvals. We actually don't have any full-time management of that department - Scheneble is one of three contractors running the show. It passed, 5-0. 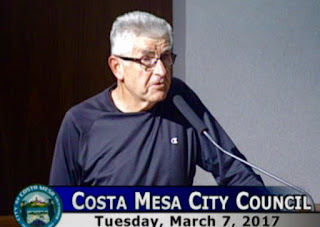 The only Public Hearing on the agenda was the second reading of the COIN process for the proposed contract for the Costa Mesa City Employees Association (CMCEA), HERE. This presentation, made by Assistant City Manager Tamara Letourneau and Human Resources Manager Lance Nakamoto, involved wage increases totalling nearly 11% over the next four years; a modification reducing employee retirement contributions from the current 17% stepping down to 12% over the life of the contract and an increase in the amount the city pays for Health Insurance Flexible Benefits from $919 per month to $1,400 per month. Only one member of the public spoke - Ralph Taboada, a member of both the Finance and Pension Committees. He expressed the opinion that the City is between a rock and a hard place because we cannot hire and retain employees if we don't make these changes but the impact on the unfunded pension liability will be significant. He cited the fact that we've been balancing the budget by not filling open positions - 17-20% of them in recent years. 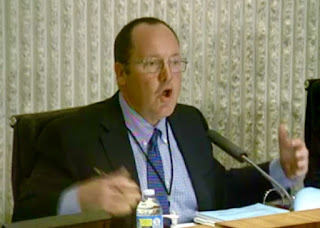 He mentioned other cities who have attempted to solve this problem by raising sales taxes - Fountain Valley, for example. The discussion of this issue was enlightening - and frustrating. 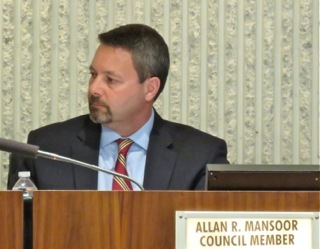 As they began to discuss the pay changes recommended Mansoor said the numbers just don't add up. He's looking for simple solutions to complex problems - just as he did before on the council and in the Assembly. Righeimer said this "has nothing to do with the quality of employees". He said the current contract is being "treated as if it was handed down from Moses." He suggested, instead of paying employees more, we should consider non-PERSable payments like hiring bonuses. 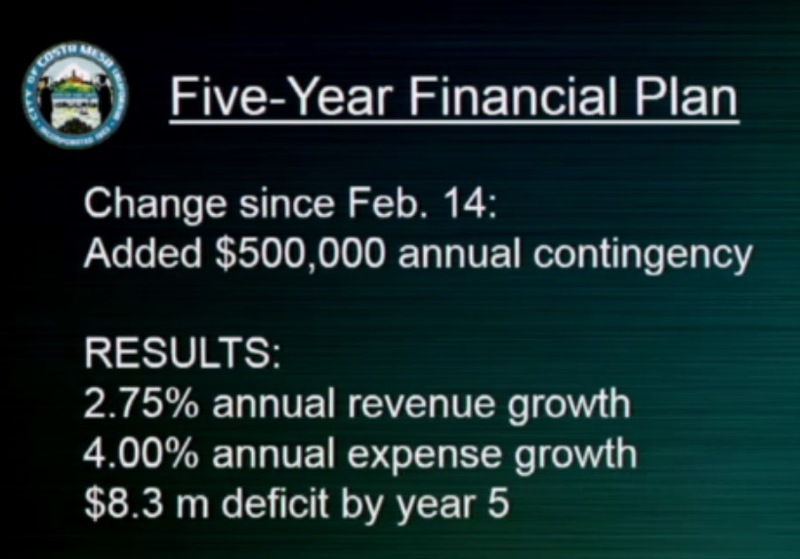 He complained about the recent performance of Cal PERS - with "0" return on their investments last year. He then said "Elections have consequences" - whatever that was supposed to mean. He wondered "Do we really need all these employees?" 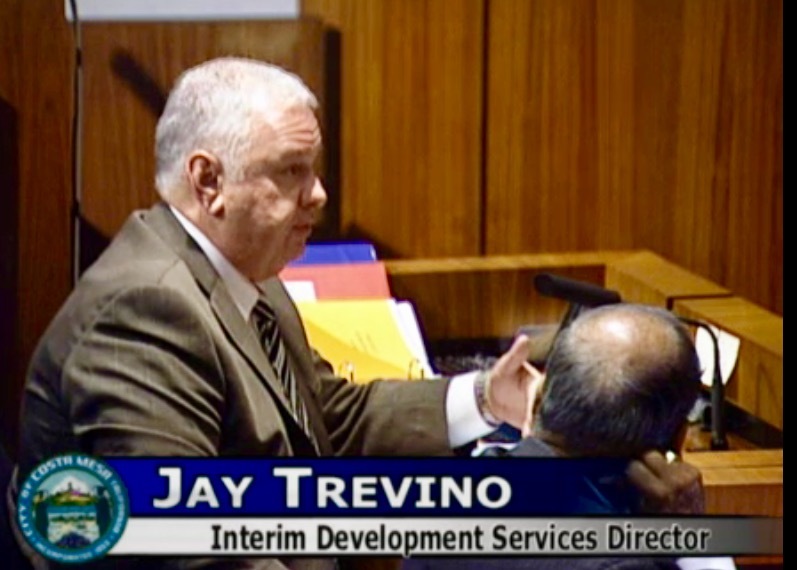 He cited the hiring of an employee as a 50-60 year commitment, then said "some employees are paid too much." Stephens observed that we should NOT be having recruiting and retention problems, and mentioned a 911 operator who left to another city for more money. He also mentioned that the high praise paid to a Newport Beach firefighter by his Chief for his outstanding performance - a firefighter who left Costa Mesa to work at Newport Beach! He observed that we still have 90 vacancies. 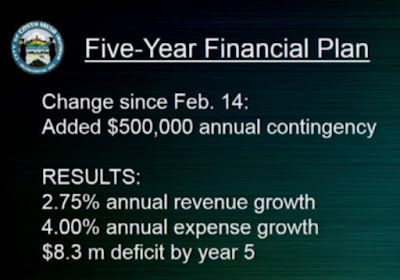 Genis observed that the employees under this contract - the Miscellaneous employees - have gotten nothing for the past 8-10 years, so it's no wonder many have left. She observed that we MUST provide competitive packages to attract and retain good employees. Foley said we have to be conservative but functional. She said she's been watching this unfold for six years and that "we didn't create it but we will fix it!" She then observed that we're asking employees to pay more toward their pension than we can actually mandate - and they've agreed to it. 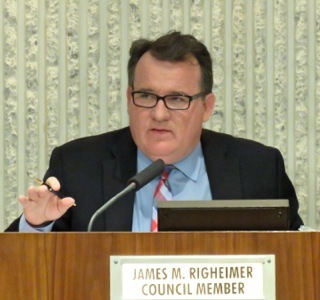 The pay portion passed, 3-2, with Righeimer and Mansoor voting NO. 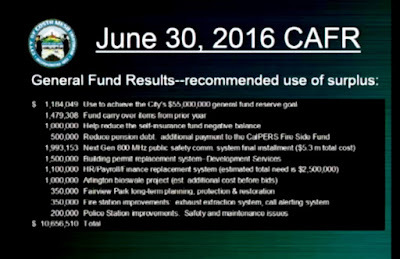 Both other segments - the Pension contributions and Health Insurance - also passed on 3-2 votes. 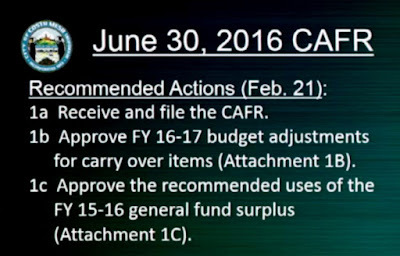 Next up was the Fiscal Reports - the three segments of which are the Financial Update including the review of the 6/30/16 Consolidated Annual Financial Review (CAFR); the Mid-Year Budget Report and the Updated Five-Year Financial Plan. 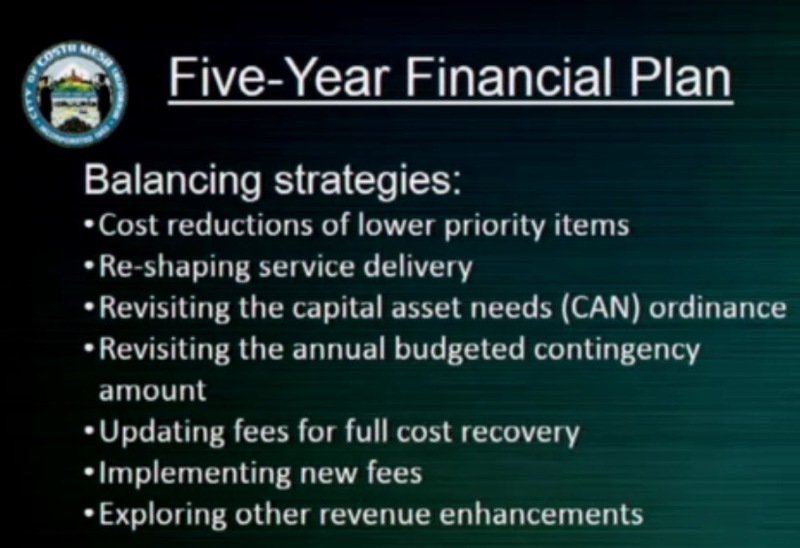 Interim Finance Director Steve Dunivent led this discussion, which was a re-hash of issues discussed at a recent Study Session. You can read the staff report HERE. 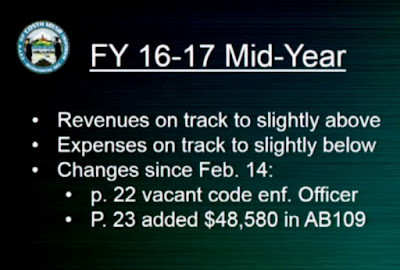 The council was asked to receive and file this report; to approve the budget adjustments and to approve the use of the nearly $11 million budget surplus as recommended by the staff. The council was asked to receive and file this one, too. 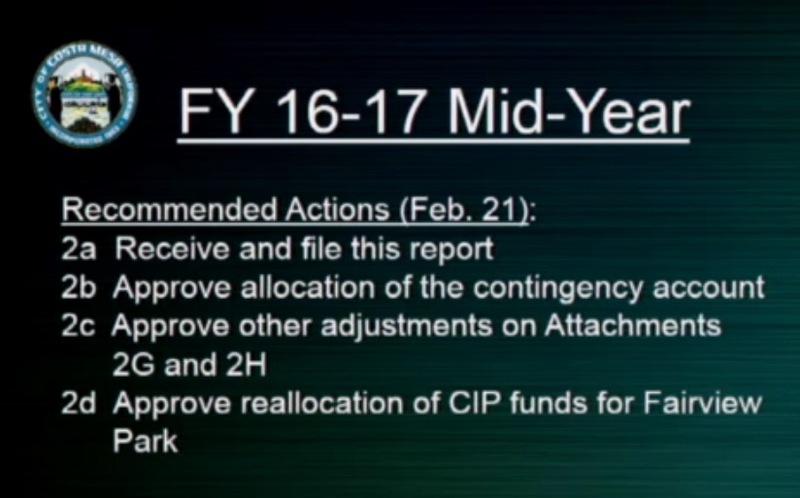 It was asked to approve the modified contingency fund - $500,000, down from $1,000,000 in recent years; to approve budget adjustments; to provide direction on de-obligation of FY 13/14 funds for lights in Fairview Park parking lot to other Master Plan improvements. They were asked to receive and file and provide direction to staff on issues raised. 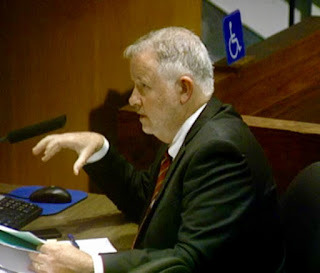 During Public Comments Bill McCarty showed a slide presentation representing his concern for an illegal encroachment near vernal pool #4, when city employees made a parking area that was intended to facilitate parking for Pop Warner Football and other events using surplus asphalt materials. He asked that it be mitigated and returned to a natural state. 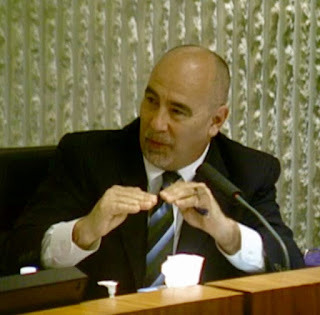 Ralph Taboada again spoke, expressing the view that $1 million be allocated to the self-insurance fund and $1.1 million be used to pay down the Fire Side Fund. He also suggested we consider outsourcing our payroll processing. 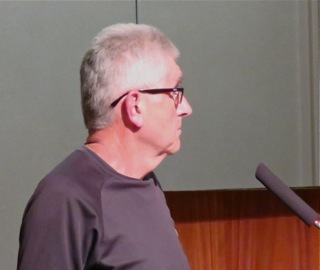 Richard Russell - a frequent speaker and now-critic of the current majority - angrily spoke about the current fiscal plans, saying this council will pass on to the next one more than $8 million in debt. Righeimer blew a fuse as he addressed McCarty's comments, apparently peeved about the perceived slur about Pop Warner Football. Of course, he got that wrong, as usual. McCarty was NOT criticizing Pop Warner Football, but the city staff that illegally created the parking lot that, incidentally, benefited Pop Warner Football. Righeimer also made a slur about McCarty's t-shirt. At one point he proudly boasted that he and his majority had put cash into infrastructure, as he said it, "Things that will last, not that will walk out the door at 5 o'clock." With that he further demonstrated his hatred of employees. He's such a petty, little man - even worse than he was when he actually had some power. It's very sad to watch. 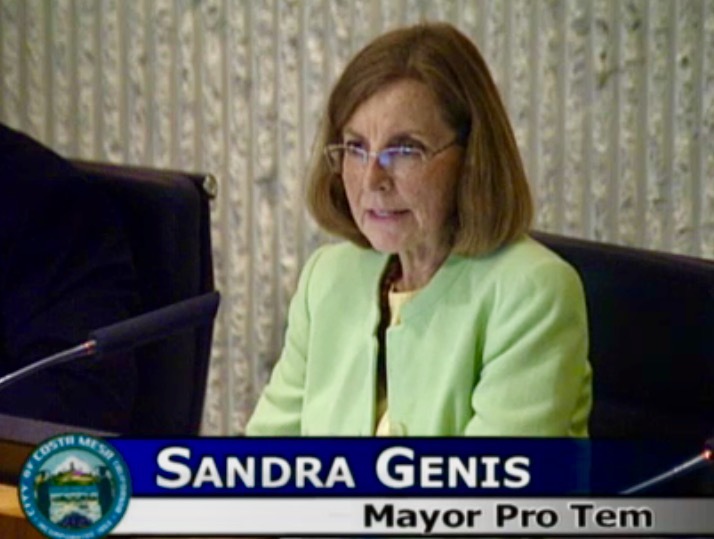 Genis spoke of the parking issue, too. She said that land needs to be reclaimed without rancor or placing blame on anyone. 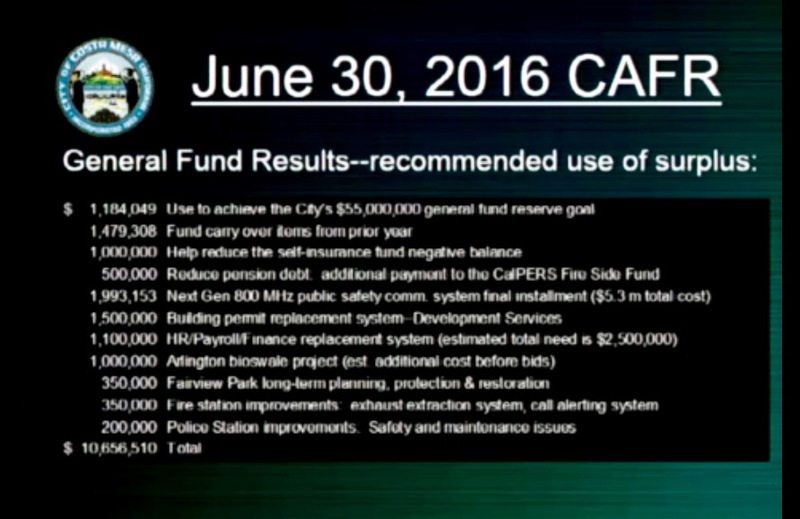 Stephens moved the first item - the CAFR report and budget adjustments - and it passed, 4-1, with Mansoor voting NO. 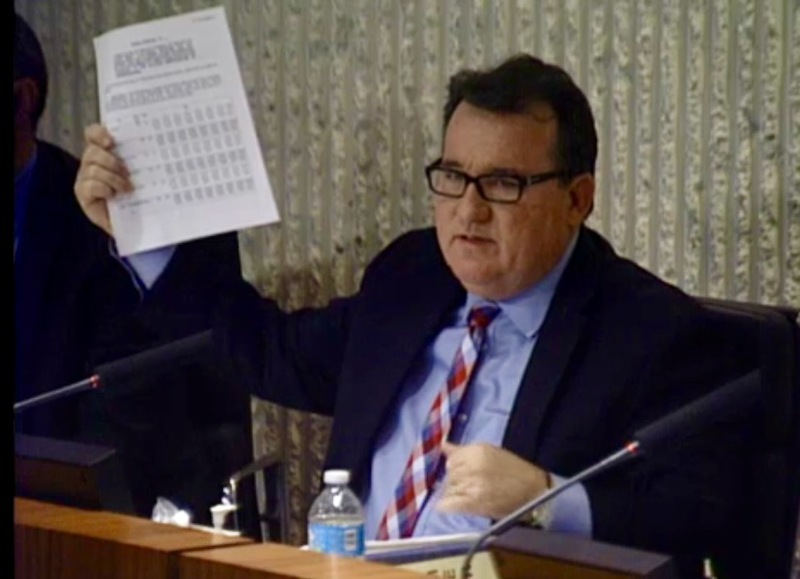 The second item, the Mid-Year Budget Report and related issues, including the $650,000 re-allocation of the funds earmarked for parking lot lights in Fairview Park, passed, 3-2, with Righeimer and Mansoor voting NO. 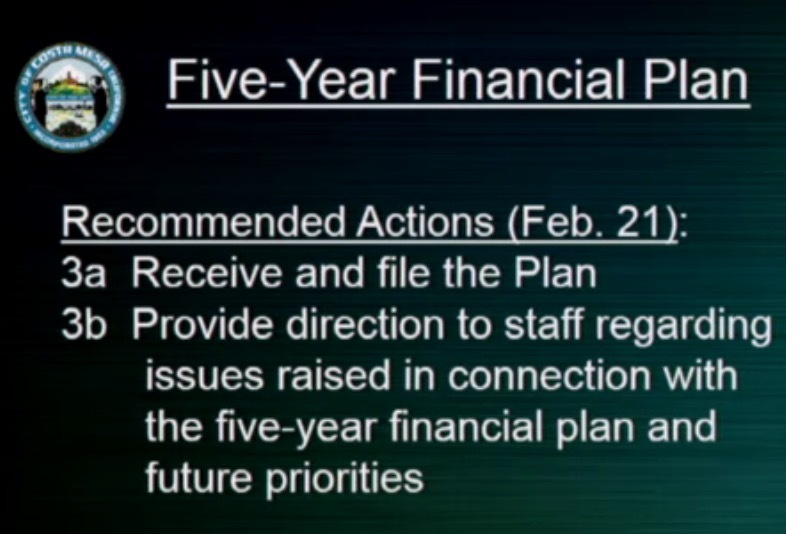 The third item, the Updated Five-Year Plan, also passed, 3-2, again with Righeimer and Mansoor voting NO. 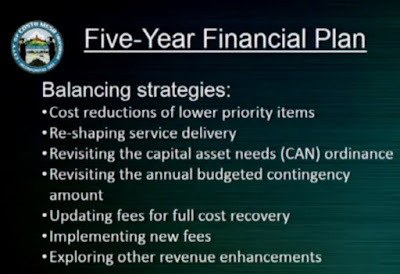 Finally, after a ten-minute break, we got around to the final item on the agenda - New Business #1, dealing with three city committees, HERE. You might have thought this one would simply breeze through... nope! It took most of an hour to plow through it. Here's a short summary. First up was the Access Building, Fire and Housing Board of Appeal - a seldom-convened group. The staff, Interim Development Services Director Jay Trevino and Fire Chief Dan Stefano, cobbled together a new set of criteria for candidates for these positions. It's very interesting to note that several of the current members of this committee would NOT qualify for a position if these criteria are followed. After a few minutes of discussion the council passed the recommendation, 5-0. The second issue was the creation of the Military Affairs Team, in theory codifying and formalizing the efforts of a group of volunteers who, working with Assistant to the City Manager Dan Baker, have worked tirelessly on behalf of veterans, and, in particular, the 1/5 Marines in Camp Pendleton. Unfortunately, this effort seemed to try to expand the scope of the committee and, quite honestly, didn't play well with many of the current participants. At one point Mansoor observed, "We should have thought it through. ", to which Foley responded, "I've thought it through a lot!" Clearly, the festering wound of their previous time on the dais together has not healed. 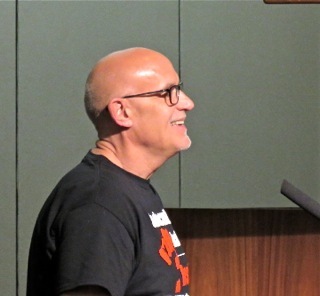 Member Reggie Mundekis spoke in favor of the new plan. 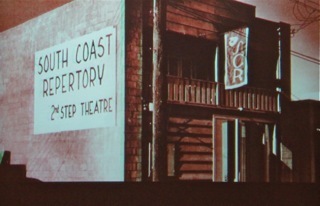 No other member spoke about it, although a few were in the audience. Righeimer opined that "we shouldn't have any part of this!" 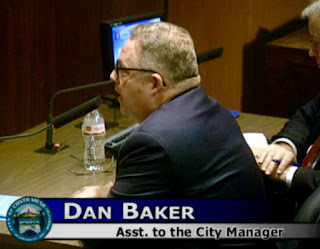 In the end, the council voted, 5-0, to continue this item to the first meeting in April, during which time Baker will gather more information about how other cities manage these issues and to poll the members further for their input. 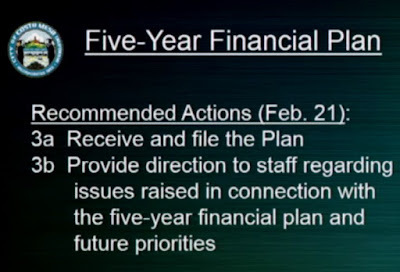 The last segment was the consolidation of the Finance Advisory Committee and the Pension Oversight Committee into a new group - the Finance and Pension Advisory Committee. This group would have eleven members and, under the proposal for consideration, one of the voting members would be the Mayor's designee. The scope of this committee is formidable. In the end, the council approved this on a 5-0 vote, deleting the Mayor's designee as a voting member. 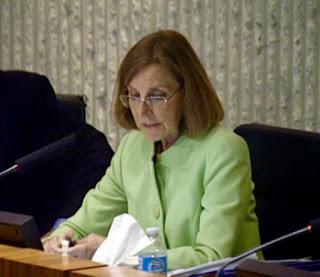 City Clerk Brenda Green will commence recruitment for the first two committees today through next Wednesday. 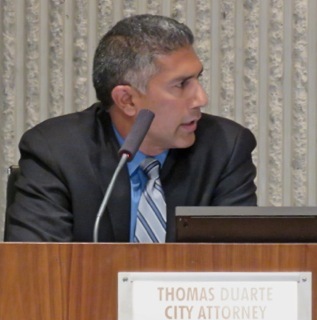 At the end of the meeting City Attorney Tom Duarte advised that by the end of the week there should be available on the City website a "Litigation Report", which lists ALL litigation, including results, pay-outs, etc. This will be updated Quarterly. He also told us that the Planning Commission will soon be receiving modifications to the Group Home ordinances for their consideration. That was interesting news. 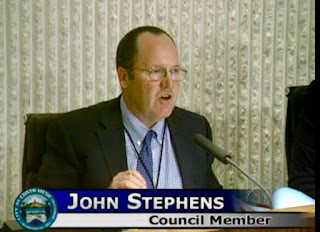 Stephens observed that there will be a memorial service at Memphis soon in honor of Dennis Barton - operator of the Costa Mesa Facebook page (not the city site), who passed away recently and then the site was purloined by denizens of the Costa Mesa Public Square, who apparently turned it into an annex of that site. The council then adjourned back to Conference Room 5A to resume their Closed Session deliberations. No word was given as to why they didn't complete that work earlier in the day, when they had two full hours scheduled.